The Center of Disease Control (CDC) reports an estimated 50 million Americans - just over 20% of the adult population - have chronic pain. About 20% of them have "high-impact chronic pain" - pain severe enough that it frequently limits life or work activites. As a result, chronic pain is a major issue in the health sector with millions of people relying on pain medications to go about their daily lives however, these synthetic painkillers are known for causing unsafe long-term addiction and use. Alternative pain treatments like hemp oil have shown a lot of promise for people with injury-related pain, arthritis, and other types of chronic pain. One of the main benefits of using CBD for pain relief is the fact that it doesn't lead to dependency that people get from using pharmaceutical pain medication. Cannabidiol (CBD) has been used a a natural rememdy for pain throughout history. In recent years the medical sector has acknowledged its use as a legitimate treatment for a variety of ailments including chronic pain. There is still a great deal of research to be done on CBD as a treatment for chronic pain relief, and given the data generated thus far, the future looks very promising. 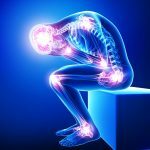 NextNext post:Can CBD relieve arthritis pain?